Wrestling legend passes away on his 60th birthday. 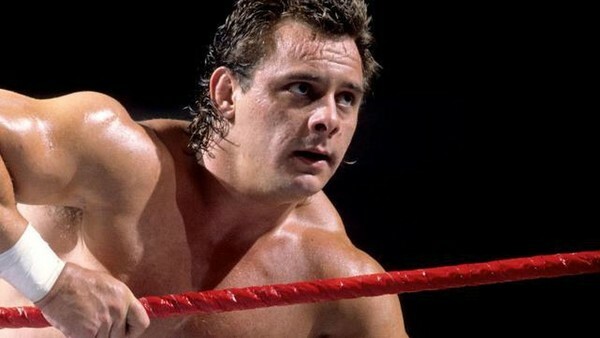 Former WWE Tag Team Champion and pro-wrestling innovator Tommy 'Dynamite Kid' Billington has sadly passed away on his 60th birthday. The cause of Billington's death is unknown at this time, though the Lancashire legend had been struggling with health issues for much of the past decade. News of Billington's passing emerged when New Japan's Will Ospreay Tweeted a tribute earlier this morning. British wrestling legend Marty Jones confirmed the news, referring to Dynamite as "a true British ambassador." Born Thomas Billington in Golborne, Lancashire on 5 December 1958, Dynamite Kid followed in the footsteps of his boxing father and uncle in gravitating towards the ring as a way to skip a life at the coal face. Billington's big break came when Joint Promotion's Max Crabtree spotted the youngster, drafting him onto World of Sport at the age of just 18. Billington quickly rose up the ranks before migrating to Stu Hart's Stampede Wrestling. It was there he began to make real waves in the business through his matches with fellow promising rookie Bret Hart. It was also in Calgary where he first picked up his ultimately destructive drug habit. Latterly appraised by no finer voice than Bret Hart as "pound for pound the greatest wrestler who ever lived", Billington made his biggest impact on the business with his series of ultra-innovative matches opposite Tiger Mask during his first spell in New Japan. There could be no better name for the explosive Billington: he was pure dynamite. It was during these matches against Satoru Sayama that Billington became known for his diving headbutt. The move would make Dynamite famous - but it would ultimately destroy his life. Billington's Far East exploits attracted the attention of the expanding WWF, who hauled him in alongside Bret Hart after the company acquired Stampede in 1984. He was soon joined in Stamford by cousin Davey Boy Smith, with whom he formed one of the promotion's finest ever tag-teams: The British Bulldogs. The high point of the Bulldogs' run came with a tag team title triumph over The Dream Team at WrestleMania 2. But for all their in-ring work never faltered, things began to turn sour for the Lancastrians. Billington was as infamously prickly out the ring as he was smooth in it, earning a reputation for his fractious temperament. It eventually got the better of him, resulting in his whole set of teeth hitting the floor following a punch from a wound up Jacques Rougeau. The incident precipitated Billington's exit from the company - though he maintained long after it was a loss of principle over a plane ticket and not a loss of pride over a punch which forced the exit. After leaving WWF, The Bulldogs returned to Canada, where they mentored another promising newcomer by the name of Chris Benoit. Davey Boy's sudden WWF return - and the brief, glorious push which followed - left Billington rudderless and embittered. The two men's careers soon began to head in opposite directions. In 1992, his former partner headlined Wembley Stadium. Meanwhile, Billington had announced his retirement a year earlier; he was trapped in a devastating cycle of destruction, his patented high-impact style enabling his spiralling drug problems. Billington made occasional comeback attempts, but his personal problems were growing out of control - an LSD binge during an All Japan tour nearly killed him twice in the same day. His final match was a heartbreaking affair. Completely dilapidated after years of abuse, an emaciated Billington struggled through a contest alongside Dos Caras and Kuniaki Kobayashi, just about managing to bust out his trademark tombstone one last time. He suffered a seizure on the way home. A worn-down Billington endured a difficult life post-retirement. His mounting leg injuries eventually forced him into a wheelchair, and he became dependant upon round-the-clock care from his second wife Dot. His latter life was beset by heart problems, and in 2013 he suffered a stroke. Despite being one of the most innovative wrestlers of all time - and a significant cog in their Golden Era - Billington has not been inducted into WWE's Hall of Fame. Cynically, you expect he has a greater chance of going in since his passing. WhatCulture.com would like to send its condolences to Tom Billington's family and friends.